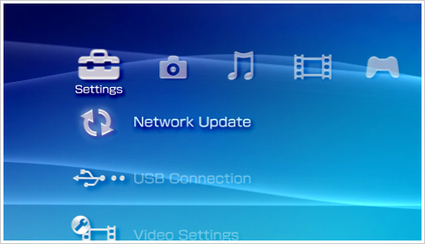 As with the PS3’s 3.70 OFW, Sony has released a new firmware update: 6.60 OFW. As is the case with past updates, Sony’s new firmware patches the exploits used to run CFW, in this case the 6.39 kernel exploit used by some1 in his 6.39 to 6.20 downgrader, the PRO team on their 6.39 PRO-B8 and 6.39 PRO-B7 as well as Neur0n’s latest 6.39 builds. Signed eboots are still working as confirmed by the community but iso loaders are still out. So what 6.60 OFW brings to the table? Here’s the official changelog. Again as per our usual recommendation, if you don’t want to loose access to your homebrew, backed-up games, etc. Don’t update. Hi, I have a new psp v.3001 running on 6.60 OFW and i tried downloading to 6.39, but a message appears saying “a later version of the system software is already installed, no need to update”. where is the download link to 6.60 ofw? Oops, I forgot that I don’t have a post for this nor have uploaded the upgrade files. It’ll be up in a bit.